You’ve found a hole in a software market segment. Maybe it came about because of a personal need that you couldn’t find a product to fulfill, or your VAR or consulting company realized that customers were asking for the same custom solution over and over again. There are many ways that software startup companies are conceived; these are just two common examples. Is Your Software Startup in the Clear? Let’s say you’ve also written a good business plan along with an investor slide deck, and used these to raise enough seed capital to truly “open the doors”. These are very important milestones that most who dream of starting up a software business never reach. It seems like you’re poised for liftoff, and are well on your way to becoming a real software company. 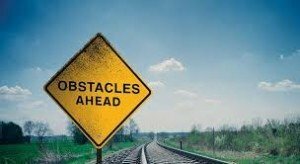 Or Do Obstacles Ahead for Your Software Startup? Of course, you have to walk before you run. There are many things from the idea stage onward that can go wrong and kill a software startup. But if you don’t get the product to market before your funding runs out, the odds of failing early go up exponentially. So first of all, it makes sense to put some serious time and thought into scoping your real capital needs to get the first product to market. Second, a lot of startup CEOs are very protective of how much equity they give up–and rightfully so. But at this stage, being too protective can be “penny wise, pound foolish”. There is always considerable uncertainty as too how much money it will take to complete the initial product, and get into active marketing and selling mode. Software development is unfortunately still an inexact science–oftentimes, the product is done “when it’s done”, regardless of the forecasted development schedule. And there is always some feature creep involved in the development of the first product (some reasonable & beneficial -some not). My view is that it makes sense to raise more money – by a comfortable margin – than you think you’ll need to get to market and become well positioned for that next round of funding. Once you actually run out of money – with no revenue to fall back on, any money raised will be at greatly reduced valuations–if you can raise it at all. Imo, this is one of the very toughest things to do in the software business. Raising money is really hard; getting the first product right without any history to guide you is very difficult as well. But I think landing the first ten customers without an existing brand, user base or operating history may be the toughest thing of all. So how do you go about it? There is no set formula for success in this area, but I have a few ideas that I believe raise the odds for success. Think about ultimately making these sales even when you first go out to find beta users. You don’t necessarily want to start “selling” at that time; but you want be mindful of what it might take convert your beta sites to paying customers, if at all possible. In addition, think about anyone within your personal networks who might be candidates to be early customers. These two constituencies are the most likely to take a chance on a new company and product, because of experience with the product in the former case and personal credibility in the latter case. Think of building your customer list as drawing concentric circles from the inside out; the innermost circle is the initial reference list and likely will come from prospects who are closest to the company. After exhausting that list, it’s time to move to the next circle and start marketing to referrals (“friends of friends”) and then on to finding early adopters who aren’t currently in the company’s network. Recruiting top talent is never easy, especially when you can’t offer the salary, job security, support or many of the perks that an accomplished executive might be able to obtain from a more established company. But while it’s not easy, imo it’s not quite as difficult as some of the other items on this list. The reason is that in most cases for a ground floor startup, you really don’t want folks that are particularly motivated by security and the trappings of a position. Successful early stage executives usually have a different personality profile and can be bored by those secure, larger company positions. At this stage, in most cases you are looking for risk-takers and value creators that are motivated by a “clean sheet of paper” and ” the thrill of the ride”. Not to mention something very important that you can provide–a nice chunk of founders equity. For this reason I believe it is very important for startups and early stage software companies to offer some form of equity participation. I realize that opinions on handing out equity vary widely, but this is something I feel strongly about. This key task is one that has in recent times become relatively difficult in comparison to raising the seed round. The world seems to be currently awash in seed money for capital-efficient business like software companies. While raising money is never easy, many more software companies seem to be able to raise seed money than ever before. The downside of this trend is that there is tremendous competition at the next funding step: raising the first major institutional round from the shrinking roster of VC funds with fresh money to invest in new startups. This funding gap puts a premium on execution during the seed stage. It becomes crucial to show that you have developed some initial momentum, as well as a history of hitting your milestones, if you are to successfully raise your critical A round. To enhance your odds, it’s important to plan ahead and start to build a network of VC firm contacts, far ahead of when you will actually try to raise money from them. This seems obvious, but in a SaaS or mobile software startup there is always 5 hours of work for every available waking hour. Building relationships that aren’t immediately critical can easily fall of the list of items to work on and never actually happen, until one day you wake up and it’s time to raise more money. Make sure you make it a priority to build those relationships, along with all the other critical daily tasks. You’ve raised the money you need, created the first product, even gotten some market traction. Things couldn’t be better, whether you’re building a mobile, SaaS or on-premise software company, right? Except that most of the executives and staff are exhausted at this point and dreaming of a beach in Bermuda–or maybe just a good night’s sleep. This is very common and can derail a young company that has otherwise done many things right. Because of this, it’s important during these early days to keep one eye on the long-term, even as meeting that next milestone is a critical focus. Try to remember that building a software company is still a marathon, no matter how many individual sprints are taking place in these early days. Building a positive company culture which respects that employees are people with actual personal lives can be a critical component of successfully completing this marathon. When people have been working particularly hard, thank them! Even encourage them to go home once a critical phase has past. Maybe buy him or her a certificate for a nice dinner with their significant other, and make them take a long weekend off. This is just an example; the key is positive recognition along with a chance for people to recharge their batteries when necessary and possible. When you start to seen these things happen, congratulations! You’re no longer an endangered software startup! You’re now definitely what those accounting folks call a “going concern”. Of course, the obstacles to survival and success never truly end, they just morph into a different form. When you’re ready, take a look at 7 Biggest Issues Faced by Management Teams in Mature Software Companies where I discuss issues faced by software companies that have “made it”. So there’s my list of some key things that a software startup must overcome to make it from birth to a going concern. There are many other things that could show up on this list – is your list similar? I’m sure many readers have ideas on other critical items that must be overcome. Post a comment with your own additions or subtractions to continue the discussion.